Y’all, this denim top is so perfect. I recently wore it while we were visiting Charleston. 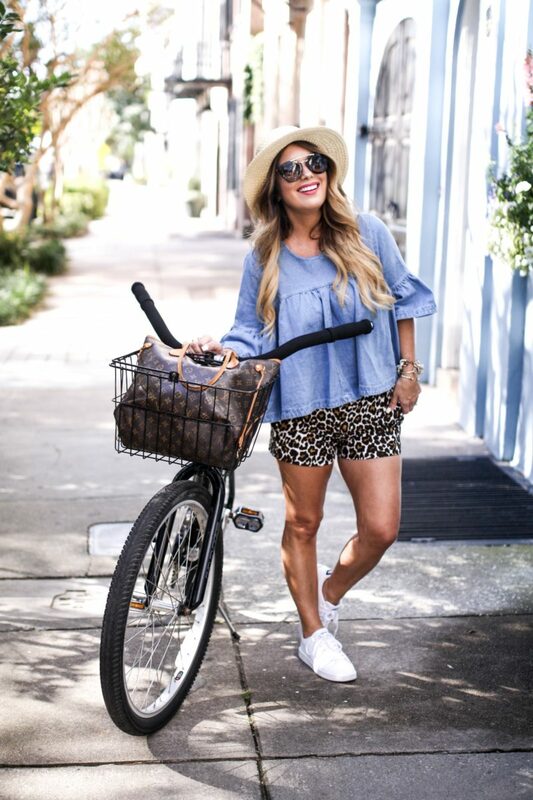 I styled it for our morning adventures with leopard shorts. Then it was easily styled for date night too with white denim. I can’t decide which outfit that I love more. And, yet again, Shein created another winner for under $25: here. 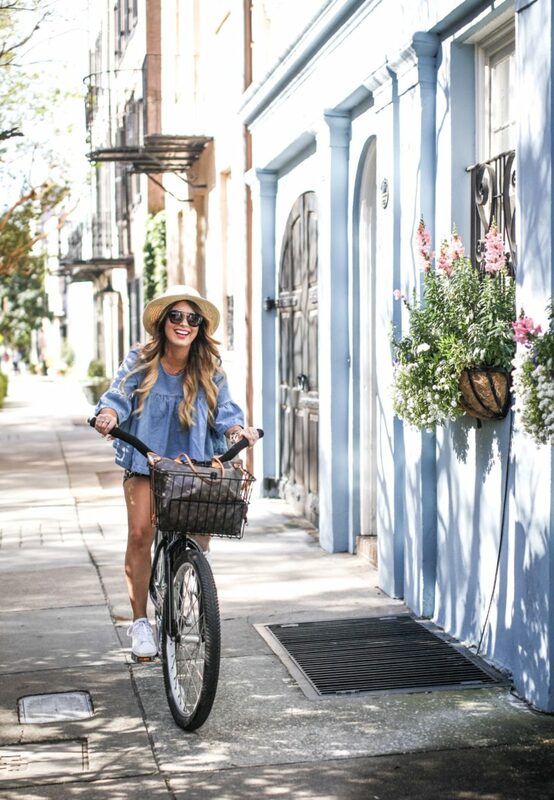 Yes, I wore cute clothes to tour the city by bike. And, I was actually comfortable. 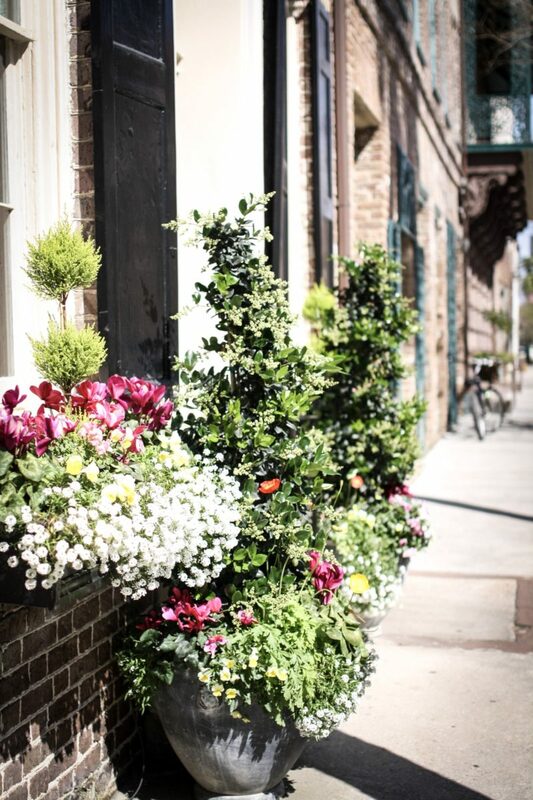 Let me just add this about our visit… I am TOTALLY in LOVE with the charm, hospitality and culture that Charleston possesses. I can’t wait to visit again. 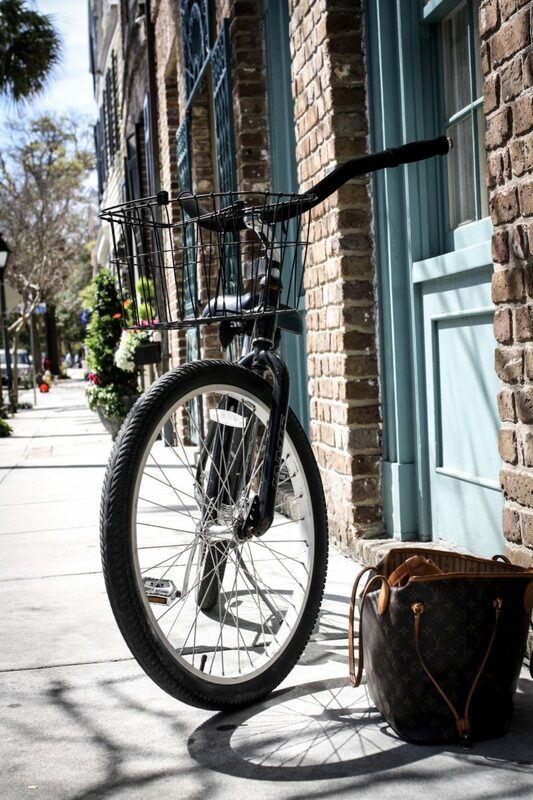 We both highly recommend renting bikes so that you can see and experience every nook and cranny. I wanted to take pictures of everything. 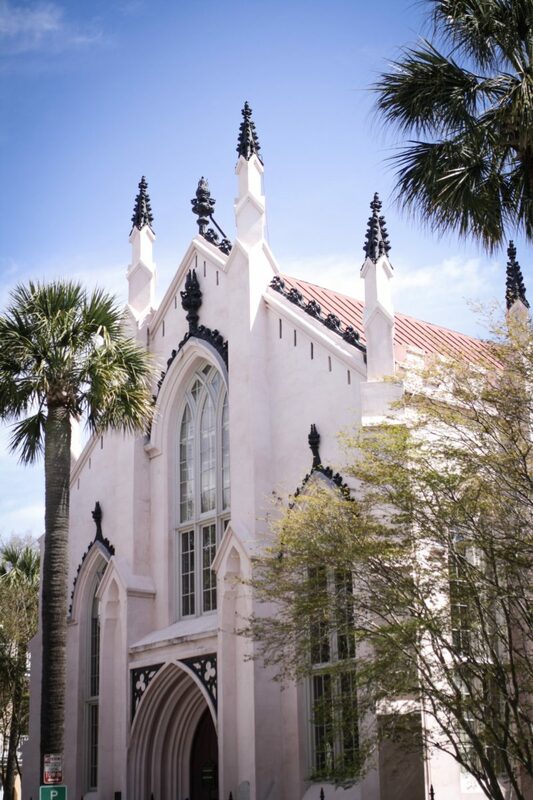 I can’t pick a favorite area, but I did love East Bay street and Church street. While vacation is always wonderful, for us, it brings out our qualities that are a little less admirable. Y’all, I wanted a darn ice cream picture, and it led to a disagreement. I was justifying my actions, and he was justifying his. Moral of the story is that we both have room to grow. So, yet again, I’m doing a lot of self evaluating since Charleston. One thing that I’m learning for sure is that attitude and thoughts are everything. I can’t expect my kids to be positive, kind, patient and giving when I can’t walk that out in my life. I can’t expect friendships to be genuine and healthy when I can’t be faithful, vulnerable and gracious. We can’t expect others to walk the line when we don’t even have the right attitude. Let’s do this…. let’s be reflectors of His image in all that we say and do. Thanks for stopping by today. Hope that you enjoyed a little bit of Charleston. I do look forward to sharing more about trip with you. 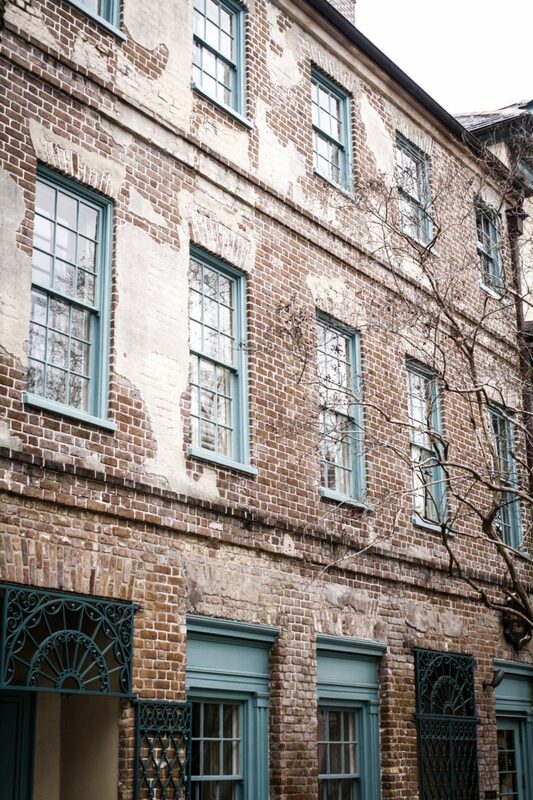 I am so obsessed with Charleston, its such a cute city! Loving this outfit, and I absolutely need those leopard shorts ASAP. I am kind of obsessed with that top! That top is so cute and so perfect for spring! I could totally imagine wearing it with skirts too! 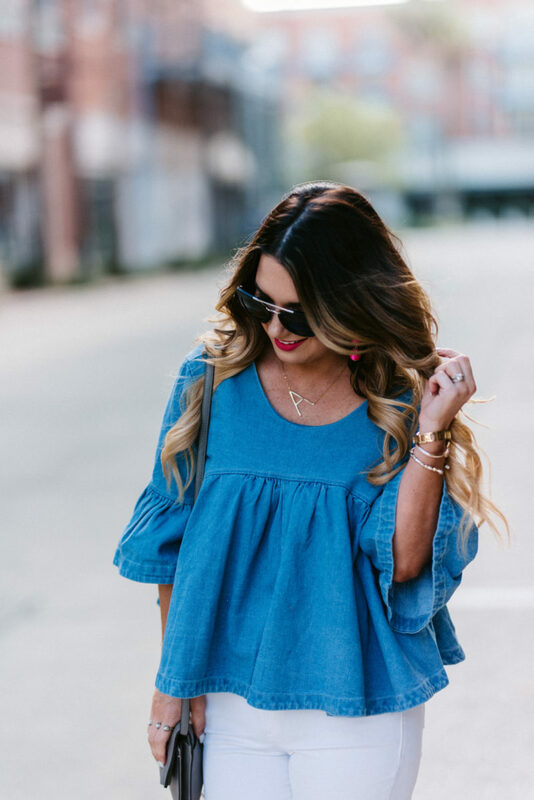 I absolutely love both outfits…that chambray top is perfect in both. I think my favorite is the first one because those leopard shorts are so unexpected and FUN!! I could also see them paired with a crisp white button down and high black heels!! Everything about these looks are to die for!! I am loving that top! 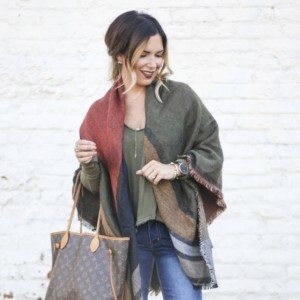 So cute and so many different ways to style it! Also those cheetah shorts….I NEED! That top is awesome! 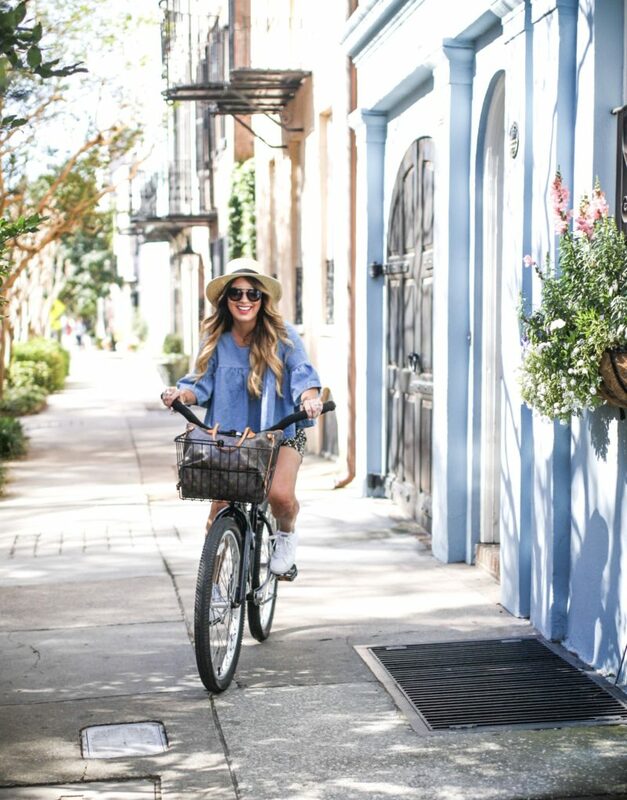 The hat is perfect with it and Charleston makes the ideal backdrop. What a great post! I’m in LOVE with everything about this post!! Your outfit is perfection! You are the cutest thing! Love the leopard shorts and this fab top! LOVE IT!!! and super comfortable too! What a great style for both day and night. That top is so pretty and I absolutely love how you styled it. These photos are gorgeous! 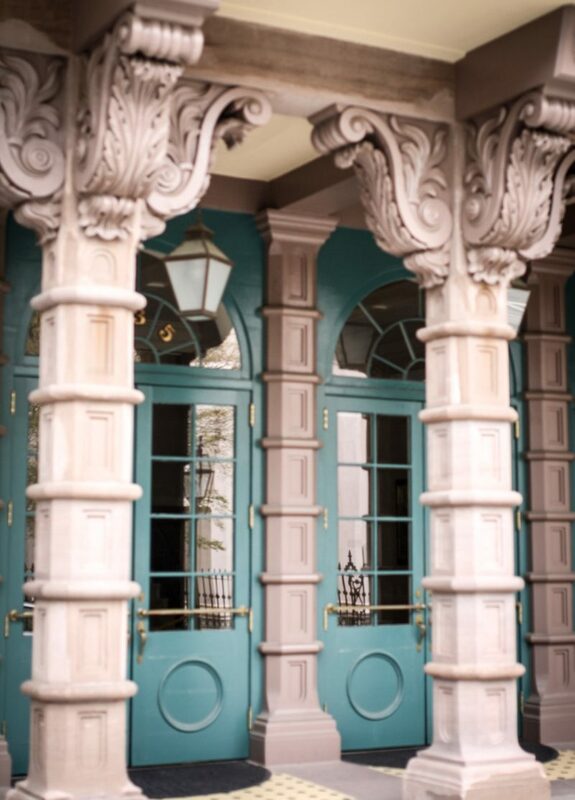 I’m loving all the old buildings. Your outfit is adorable too! Such a cute, fun top! I love it! Your photos are great! Looks like you had the best time! These pictures are gorgeous! Such an adorable top! I love both ways you styled it! 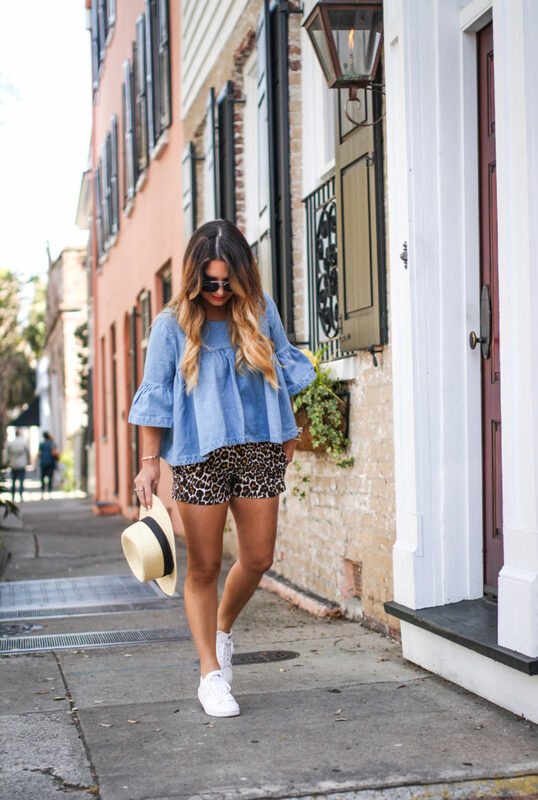 These leopard shorts are so sassy! I wish they came in my size! 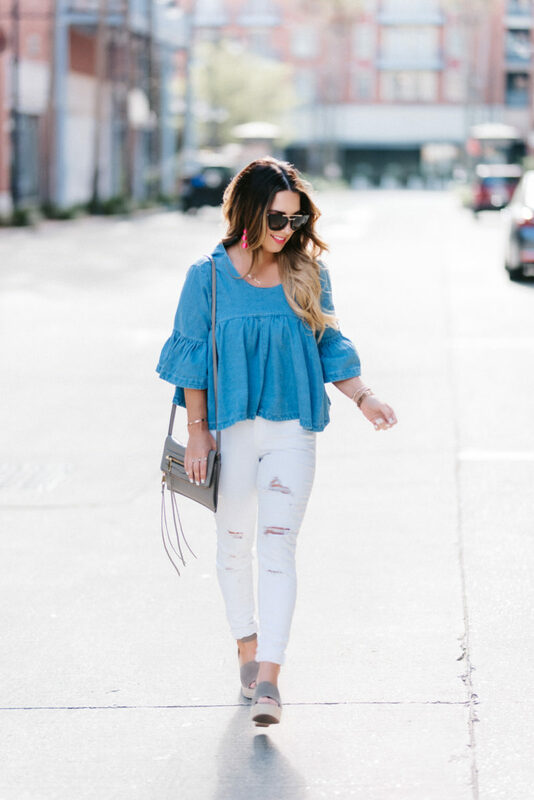 Oh my gosh I LOVE how you styled this top both ways! The leopard shorts with it are adorable! Love this top and shorts! So cute! That top is adorable. Love it with the white pants. This top is super cute, but I’m a little obsessed with those leopard print shorts. They are too perfect! 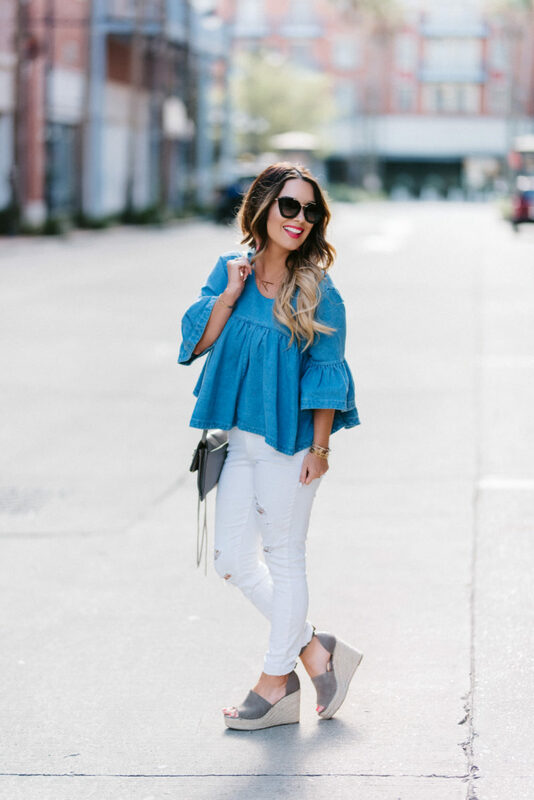 Loving both ways you styled this top.